As ride share companies like Lyft and Uber become more popular, the risk of being involved in an accident either as a passenger or as another driver on the road increases. Whether you are a Lyft driver who has been in an accident due to the fault of another driver, a Lyft passenger who was injured in a crash, or another driver who was hit by a Lyft driver, you may have the right to seek damages for your medical costs, rehabilitation expenses, and lost wages. While every case is unique, there are certain factors that make Lyft accident claims particularly different. A Lyft accident lawyer in Fort Lauderdale, Florida can help you seek the recovery you may deserve after a crash. Drivers who operate Lyft vehicles are covered under Lyft’s insurance policy in certain circumstances. However, coverage varies depending on the situation, so the claims process can sometimes get quite complex. Lyft provides insurance coverage for drivers who have the application turned on, when they are waiting to find rides, when they are driving around looking for rides, when they are driving to pick up passengers, and when the driver has a passenger inside the vehicle. If a driver is using his or her vehicle for personal purposes, and the application is off, the driver’s personal insurance coverage will be responsible for any damages or losses. 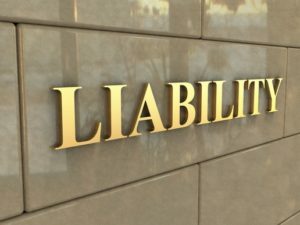 Lyft provides “contingent liability” coverage. This liability coverage applies when the app is in Lyft driver mode before the driver has received a request for a ride. 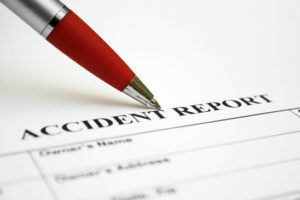 The policy covers up to $50,000 in damages per person or up to $100,000 in damages for the accident. The property damage coverage under this policy is $25,000. If a driver has accepted a ride, is in route to pick up a passenger, or has a passenger in the vehicle, the driver’s insurance coverage becomes more comprehensive. In this case, the policy covers the driver up to $1,000,000. Even drivers who have commercial insurance can use Lyft’s policy in excess of their commercial insurance. Individuals who obtain comprehensive insurance through their private insurance policy may also enjoy other protections under Lyft’s insurance. For example, they may be covered for properly damage to their vehicle and for vandalism or fire. Lyft’s policy also includes uninsured motorist coverage in accordance with each state’s regulations. Lyft drivers can also face challenges when making claims against their personal insurance policy if they have not informed their insurance company that they drive for Lyft. Personal insurance policies don’t often cover cars for commercial use. So, if a driver failed to let their insurance company know that they drive for Lyft and they are then involved in an accident while off duty, there is a possibility their claim could be denied. In this case, victims who have been hit by Lyft drivers may have to pursue the claim like an uninsured motorist or underinsured motorist claim. Was I using my car for personal purposes? Was the application on when I was driving? Was I driving to pick up a passenger? Was a passenger in my car? Different levels of insurance will apply for each of these circumstances. For example, if you were using your car for personal purposes, your private insurance should apply. If your application was on, but you had no passenger and were not picking anyone up, you will be covered under Lyft’s “Period 1 Auto Liability” coverage. If you had a passenger in the car or were picking up a passenger, you may be covered under Lyft’s most comprehensive coverage in addition to your own coverage and the negligent driver’s coverage. Coverage following a Lyft accident can be tough to navigate. Fortunately, you don’t have to do it alone. Madalon Law are Lyft accident lawyers in Fort Lauderdale, Florida who can help you navigate the complexities of ride share coverage. Lyft passengers are protected under Lyft’s comprehensive coverage. However, it is important to take steps to protect your rights after a Lyft crash. Make a police report of the accident, gather information about your driver and other witnesses, and seek medical attention as soon as possible. Take photos of the scene of the crash, if you can. In the aftermath of the accident, you may be entitled to make a claim against Lyft’s insurance, your driver, and even Lyft itself if you believe its technology may have played a role in your injury. Lyft has not been around for long, so lawsuits involving Lyft drivers remain relatively new areas of the law. Protect yourself by contacting Madalon Law, Lyft accident lawyers in Fort Lauderdale, Florida. If you’ve been in a Lyft accident in Fort Lauderdale, you may have rights. If you were hit by a Lyft driver, how you pursue your claim will depend on many factors. Was the driver carrying a Lyft passenger? Was the driver driving to pick up a passenger? Was the driver operating a vehicle with the Lyft application turned on? Or was the Lyft driver operating his or her vehicle for personal use? Each of these cases will vary in how you may be able to pursue your claim. Because the claims process can be so complicated, it may be helpful to have a Lyft accident lawyer like Madalon Law in Fort Lauderdale, Florida on your side. Our firm can investigate the circumstances of your accident, determine what insurance coverage the other driver may have, and fight your claim either inside or outside of court. Ride share companies make millions every year. Because they contract drivers out rather than hire their own drivers, their control over their drivers is limited. Still, these companies have a responsibility to protect drivers and passengers in the event of an accident. If you have been hurt in a crash involving a Lyft driver, contact Madalon Law today. Our Fort Lauderdale, Florida Lyft accident lawyers understand the complex claims process and can offer you caring and compassionate counsel. Call us today for a free case review. We only get paid if you win a claim.